The Certified Organic Farming Manual - Learn How to Get Started! Home Food The Organic Farming Manual – Learn How to Get Started! There are only a few books on getting started with certified organic farming, but this is a good place to start. This book covers almost everything you need to know to start and run a certified organic farm with lots of good advice for first-time farmers as well as experienced farmers. Learn about growing your crops, best soil management practices, marketing your organic produce, required machinery and much more. When you first get started it’s important to think about what organic farming means to you. Then start create your start-up plan. This doesn’t need to be complete or detailed. It’s just an exercise to look at what it may be like being a farmer. After defining some basic goals you need to decide if being an organic farmer is something your are seriously interested in as a real, full-time, profit-making business. Consider this — organic farming in the U.S. Is bigger now than ever before. Organic farmland, for example, had had double-digit growth fueled by a booming consumer demand for organic products. 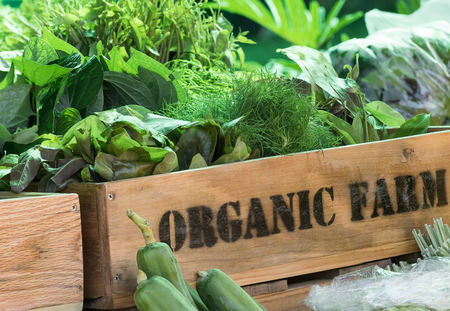 Organic product sales grew almost 11 percent last year, the fourth straight year of double-digit growth, compared with the growth for all food products of just 3.3 percent (2015). even giant companies like General Mills are expanding their organic product line. Once you figure out your organic farm goals, try to narrow down your choices. Do you want to grow crops and what kind? Do you want to raise organic livestock? Are your interested in livestock as well as crops? Do you already have any farming skills or are willing to learn? Start focusing on exactly what you’d like to do and your strengths and weaknesses. Figure out what skills you may already have, what you need and what you’re willing to learn. Remember, to be an organic farmer you will need to get certified, which can take awhile and be very intensive to maintain. Some farmers actually choose to be as organic as possible, but without the certification — which is much faster and easier.You’ll also need to deal with all sorts of other legal issues, from farm insurance to getting a proper business license (corporation, partnership, LLC, etc.). Every farmer will have many practical considerations to think about from getting the land, sourcing seeds and/or livestock, water availability, conservation issues and much more. You’ll need some kind of financing, as well, to buy the land, equipment and everything else you need. There are many sources of aid, but you can start with talking to your own State Department of Agriculture. Click here to get your copy of the Organic Farming Manual!